Where faith and funding converge. We are a nationally recognized Christian ministry providing outstanding service and affordable church loans to churches across 34 states. 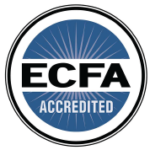 We are an ECFA-accredited ministry that has an extensive history of working with Baptist churches. BCLC mirrors the churches we serve. With a non-profit charter and a heart for The Great Commission, BCLC provides leadership and efficiencies offered by no other.